OMG Obachan, thanks for another wonder gift. Woman, you really need to become a professional food stylist/photographer!!! Merry Christmas to you too! Such lovely cookies, I wish I could eat them all! And thanks for the cookies , they are beautiful as usual! 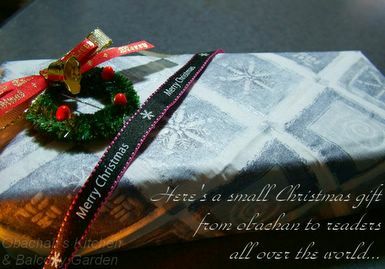 Lots of love and a very merry Christmas to you, Obachan! obachan, what a cool gift! it's always a privilege to come here and enjoy the fruits of your talent and generosity. i learned a lot from not just your cooking adventure, but your warm little community of readers here too. have a blast this holiday! I also wish you a Merry Christmas and a very Happy New Year 2007!!! 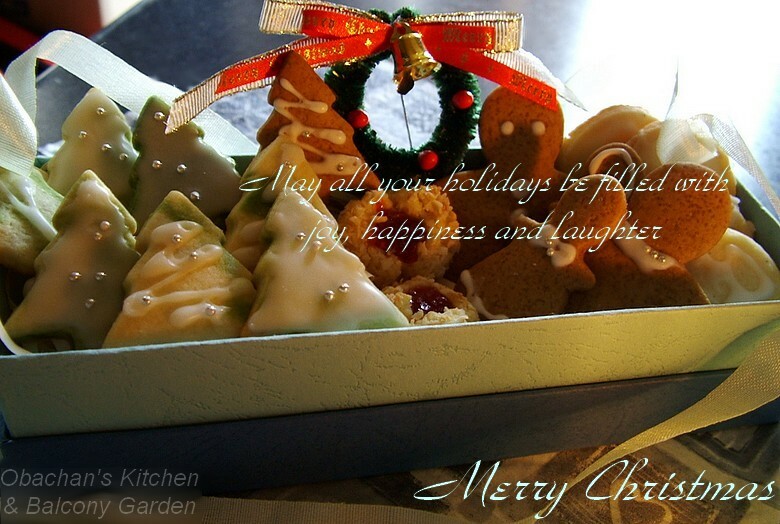 Thank you so much for your lovely Christmas cookies!!! They "taste" so heart-warming! Here's wishing you a blessed Christmas and a wonderful year ahead! I look forward to more wonderful posts on your blog in 2007.
that is so sweet! Merry Christmas! A blessed Christmas.. to you and yours.. Obachan..! obachan, I'm a little late getting here, but please allow me to wish you a healthy and happy 2007! Wish you the very best for 2007.